Use Asana Flow at the beginning of your practice for calm, centered focus and a new openness to your yoga experience. Apply Sweet Savasana (the perfect partner for savasana pose!) at the end of your practice to release any residual tension and "lock in" that grounded feeling. 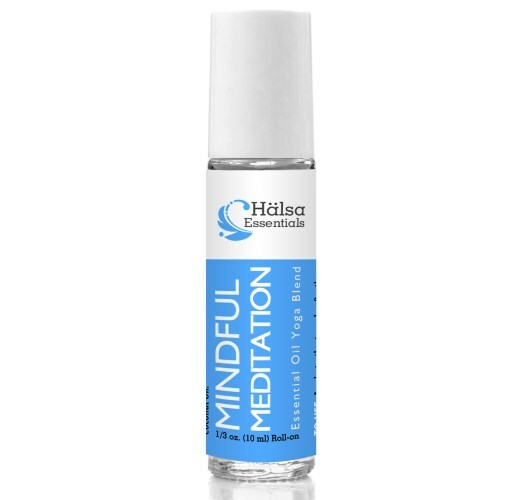 Mindful Meditation contains frankincense and other precious oils used for centuries to open the third eye chakra and balance spiritual energies. Use these anytime when you want to experience the same feelings off the mat. We do, too. Yoga is about connection. Connection between your mind, body, spirit and something larger than yourself. Something universal. 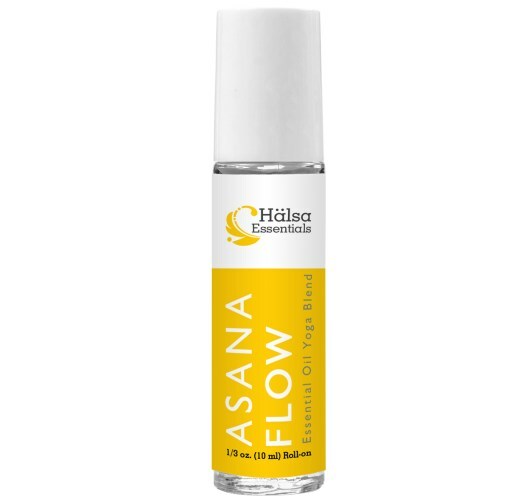 The ancient creators of yoga knew that plant essences, or essential oils, are a natural way to facilitate this connection. That's because your senses are the gateways to your mind and spirit. Aromatherapy opens these gates wide. Save about $10 when you buy the Yoga Roll-on Bundle. Halsa Essentials Yoga Roll-ons were created by Atlanta-based yoga instructor Holly Griffin. 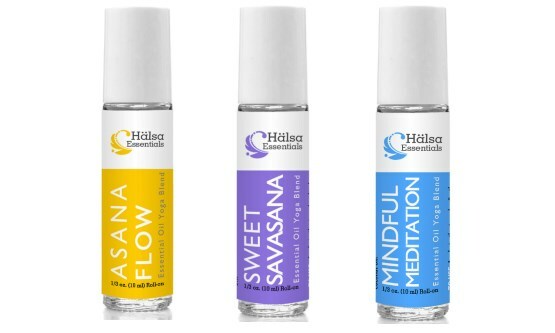 Holly drew on her knowledge of Yoga, the ancient Indian system Ayurveda, and modern aromatherapy to create a line of Yoga aromatherapy blends for Halsa Essentials. Designed to be applied to your temples, back of neck and wrists at the beginning of yoga practice, Asana Flow awakens a sense of calm focus and a new openness to fully experience each moment. Lavender - Dissipates stress, helps tame the "monkey mind," and opens up your airways to help with deep breathing. Lemon - Purifying, cleansing, gently boosts alertness. Bois de Rose - According to Ayurvedic tradition, Bois de Rose, or Rosewood, is thought to rekindle spiritual feeling and widen the Heart Chakra, and dispel negative emotions. Designed to be applied to your temples, back of neck and wrists at the end of yoga practice, Sweet Savasana releases any residual tension in your body and "locks in" the balance you've achieved during your practice so tha the benefits of yoga follow you off the mat. Clary Sage - Another strong stress/anxiety reliever, also considered to balance the Third Eye Chakra. Sweet Orange - Encourages a positive outlook, very uplifiting. Chamomile - One of the most calming of the essential oils. Use Mindful Meditation during meditation or any other time you need to focus. 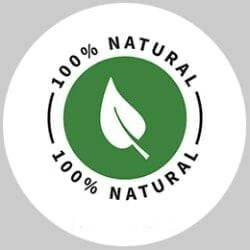 This roll-on contains strong essential oils harmoniously balanced to not be distracting. Frankincense - Maybe the number 1 essential oil for meditation, used for centuries for its spiritually grounding properties. Said to open your Root Chakra to allow energy to flow throughout your body. Ho Wood - Alleviates stress and anxiety. Promotes a sense of peace and tranquility. Ylang Ylang - Is said to open the heart and calm negative emotions. Prized for its centering effect. Mandarin - Helps with focus during meditation. 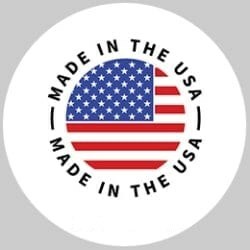 All our products are made in the U.S. by family-owned businesses. 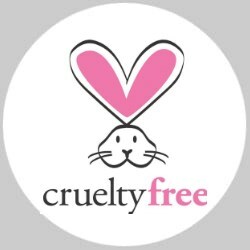 We love all creatures and would never harm any of them. 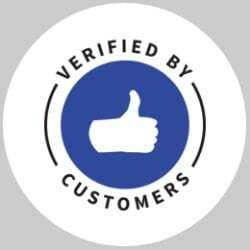 We think we have a pretty good thing going here, but you don't have to take our word for it, real yoga practioners just like you love it. Try any of our products for 90 days and if it doesn’t work for you, you’ll get your money back! There’s absolutely no-risk in giving it a try. No questions asked, you can get your money back!